I am always on the look out for interesting items to add to the book display cases in the K-6 Library. We have two display cases, one in the K-2 section and one in the Primary area. 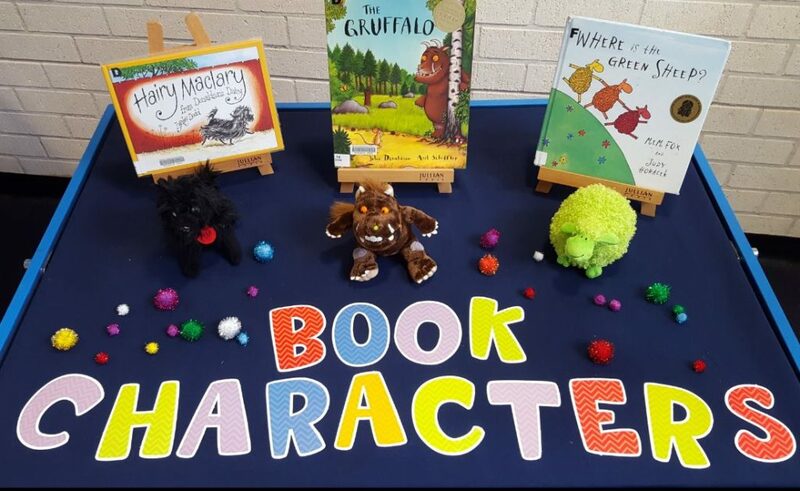 The displays focus on book promotions, book anniversaries, literature themes, story elements or events such as Reconciliation Week. 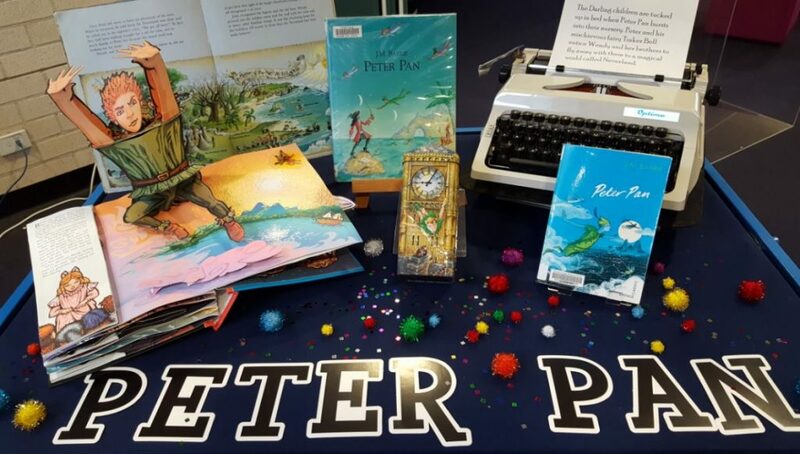 This year students were welcomed to the Library with Peter Pan and the display for younger students showcased some special book characters. 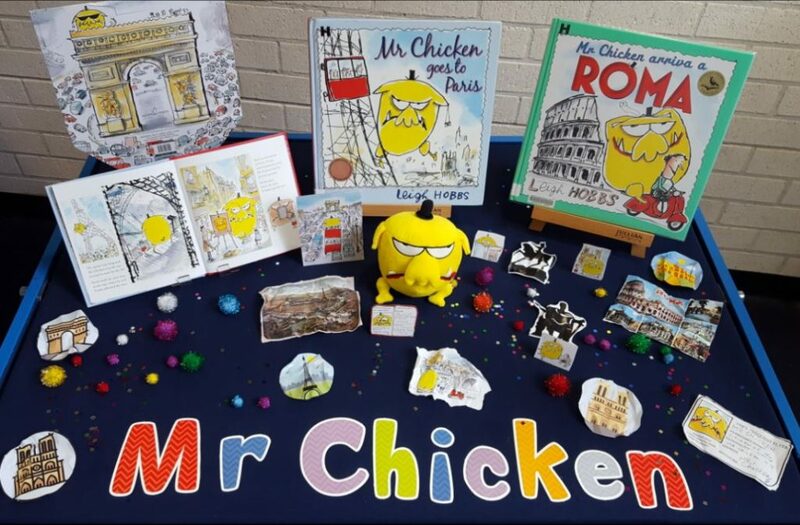 Today we created a Harry Potter and Mr Chicken books display. 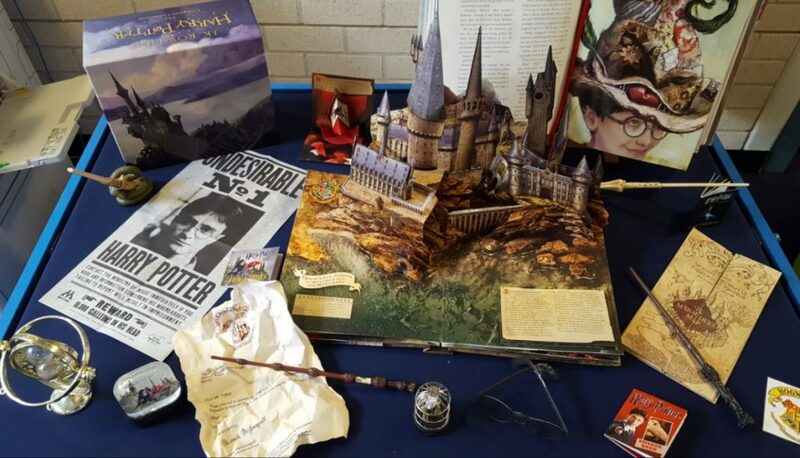 It is a pleasure to see students enter the Library and look into the display cases with excitement.